As most of you know, I usually take on multi projects all at once – this is a challenge for me, because I do not multi-task well. But does that stop me …nope! I had to wait for one coat of paint to dry, before I could put another coat on top. So as I waited, I started working on the half bathroom. 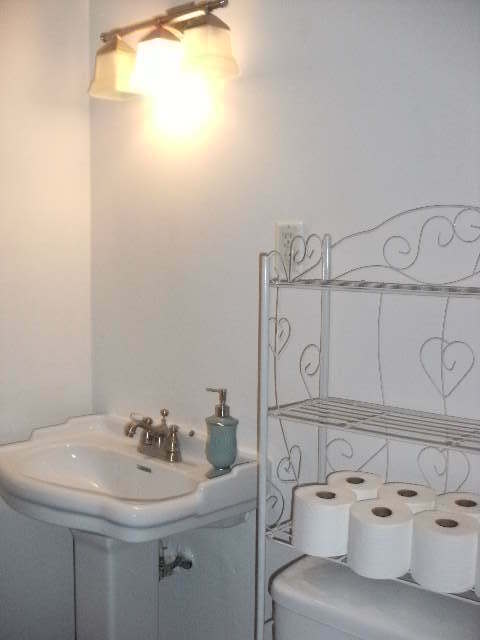 What can people do to a bathroom ?? 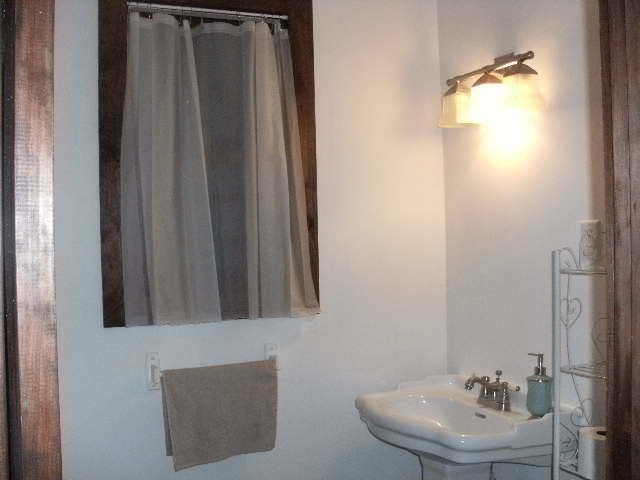 try taking the sink away from the wall ..did that cross your mind ? If not, then I guess you are normal- these renters were white trash. It looks like they tried to take the sink..where to ?? My only guess, was to steal it, and sell it at the flea market –for what 30.00 ?? This proves the renters has no idea how economics works – for all the labor to put the sink off – drag it a half hour away to the flea market – pay the rent for the day (10.00),sit there for 4 hours ?? Hoping someone wants to buy a sink …run those numbers —our in the red before you start. So as I had to pull away the all the broken drywall, and clean the sink from all the mess..cussing that Silly all over again. 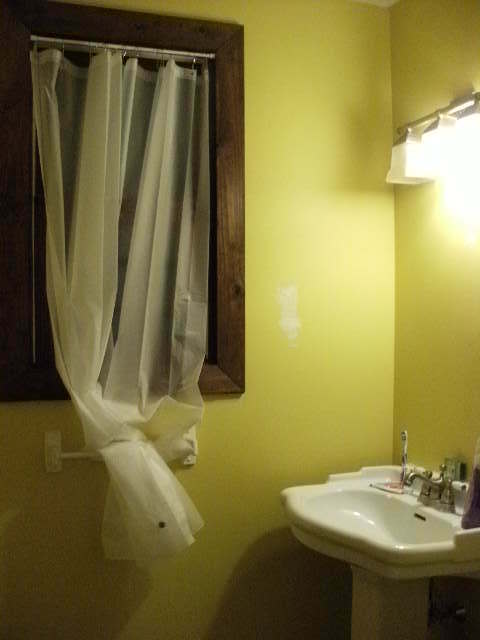 I knew that I had to repaint this bath anyway – I painted this room a bright yellow to be cheerful – instead it turned into more like a piss yellow. This color had to go. 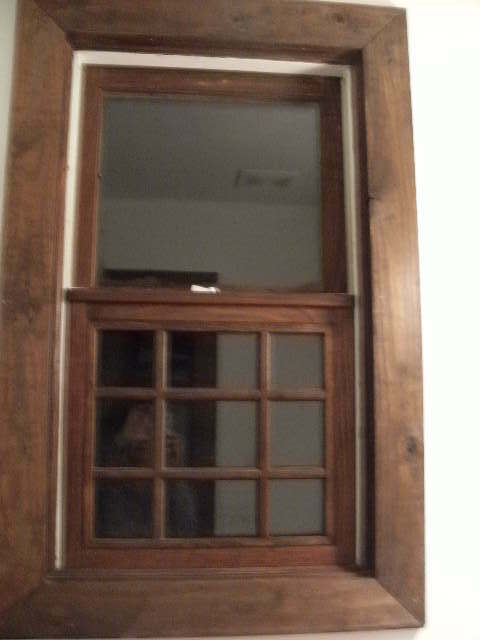 A real issue is my custom wood window – again trying to restore the Bungalow, all windows in this style had unique moldings —do you see something missing ?? yep ! The top moldings are missing – I have searched the house, and do not see them anywhere. It looks bad, that only the bottom it there, and not the top. I am debating if I should replace it – for future renters to break ? Not sure of this expense- I am more to saying “wait”, until I live in the house all the time. So I cleaned the wood with Murphy Oil Soap. And glass cleaner for the window. Its ok for now. Sanding was needed in this room too !! 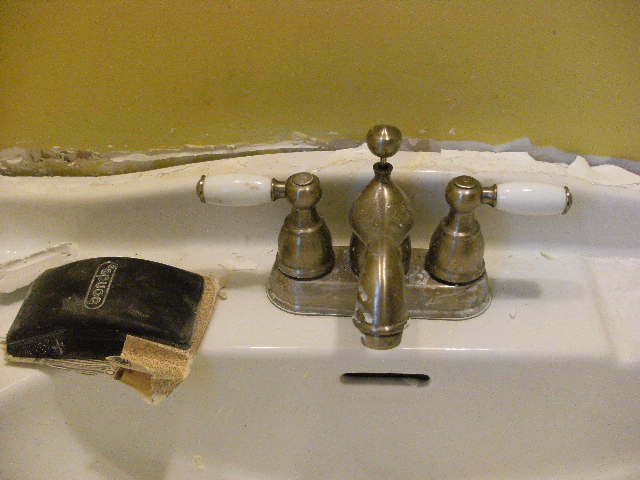 so I had to repair the wall behind the sink from the hole that was created when it was pulled away. This building up of the wall & sanding it down. This took another week to do – because you have to wait 24 hours for that mud to dry ..I went back and forth from working on my bedroom to the half bath..working & working. 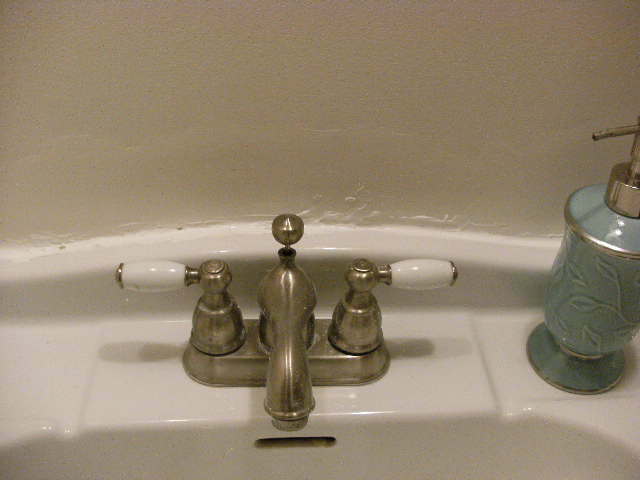 I am still trying to run the white sealer behind the sink- to make it smooth. Applying layer upon layer, waiting 24 hours for each layer to dry. I do not a lot of experience in doing this kind of work – but I know what it “should look like”, and using this knowledge as the basis. I am still fixing the mirror that hangs over the sink-the frame was cracked, but I left it that way , I guess the renters did not want that – which is good for me. I am gluing the frame together, and will hang it once I put a fresh coat of paint on the frame. 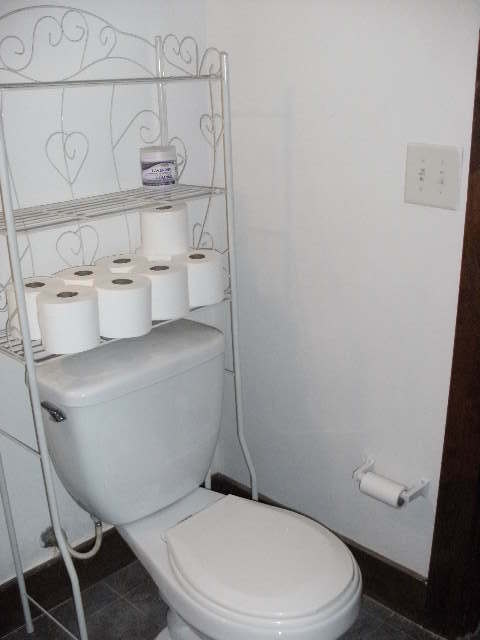 I brought this white metal toilet stand for 5.00 at the flea market !! What a deal !! and I like how this room looks now- very clean. So far, I am happy with this outcome too.